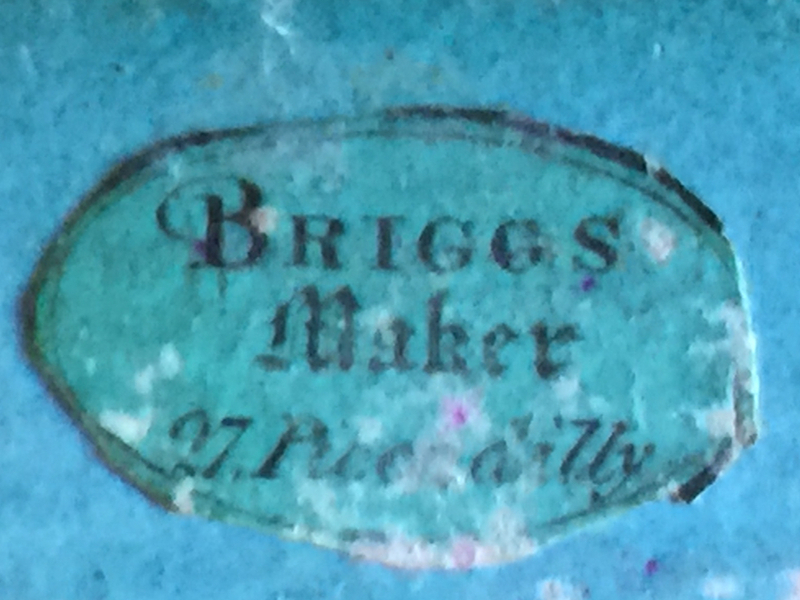 Thomas Briggs, 27 Piccadilly, London. 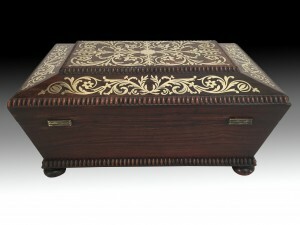 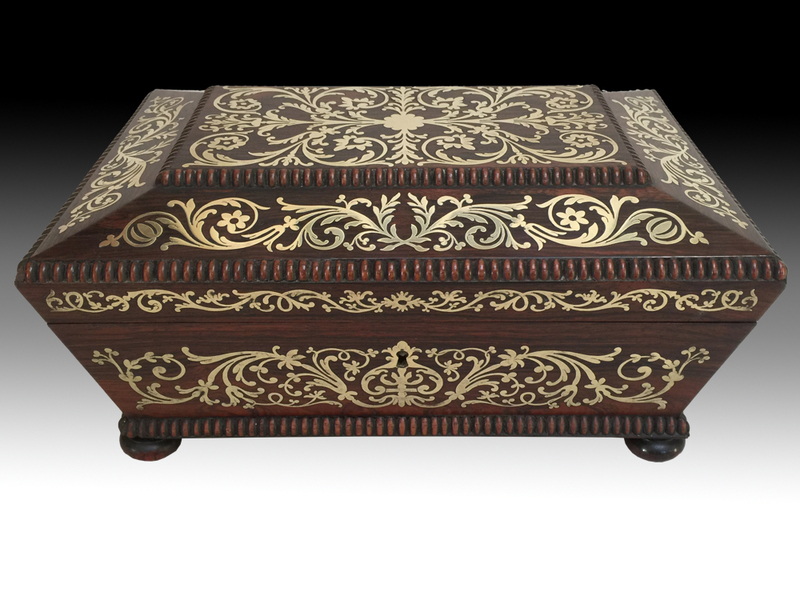 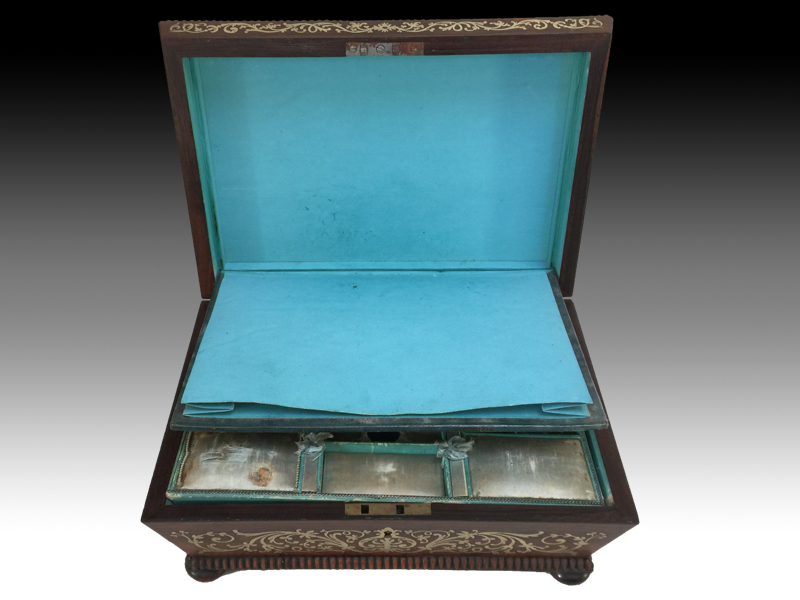 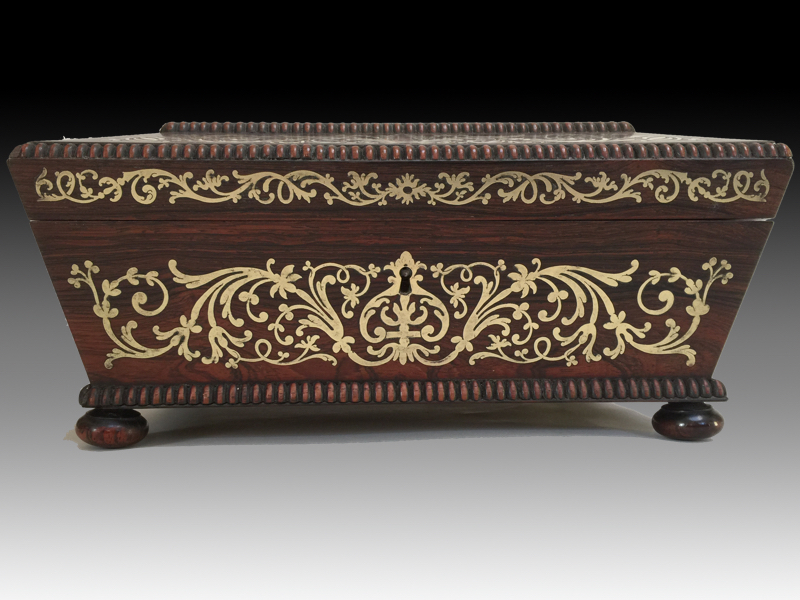 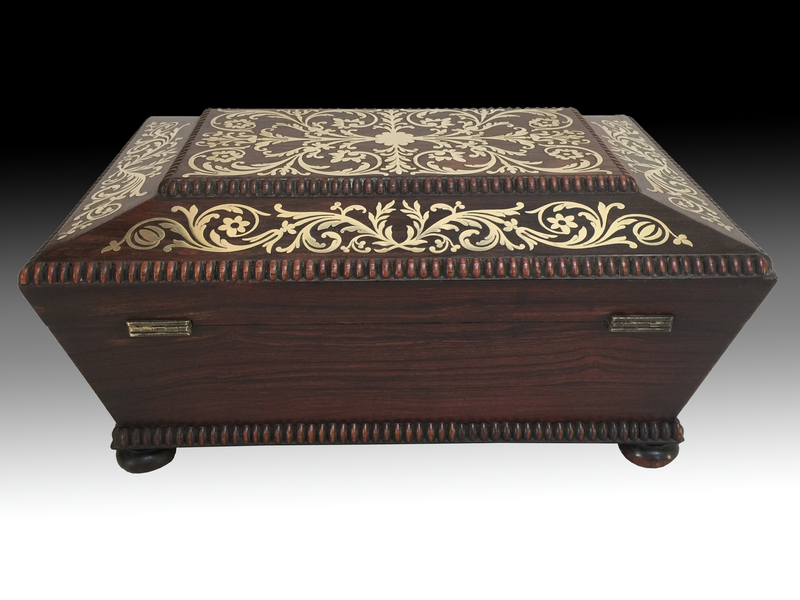 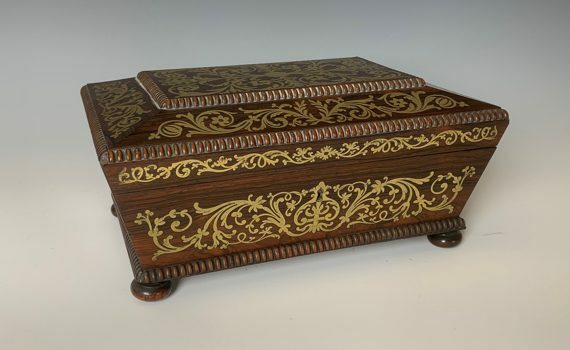 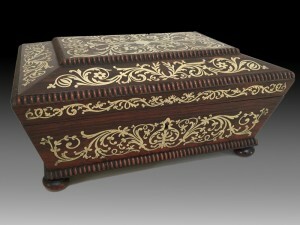 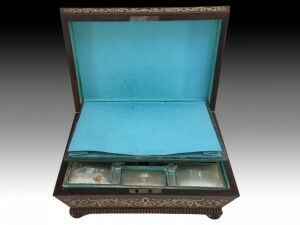 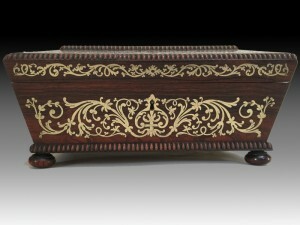 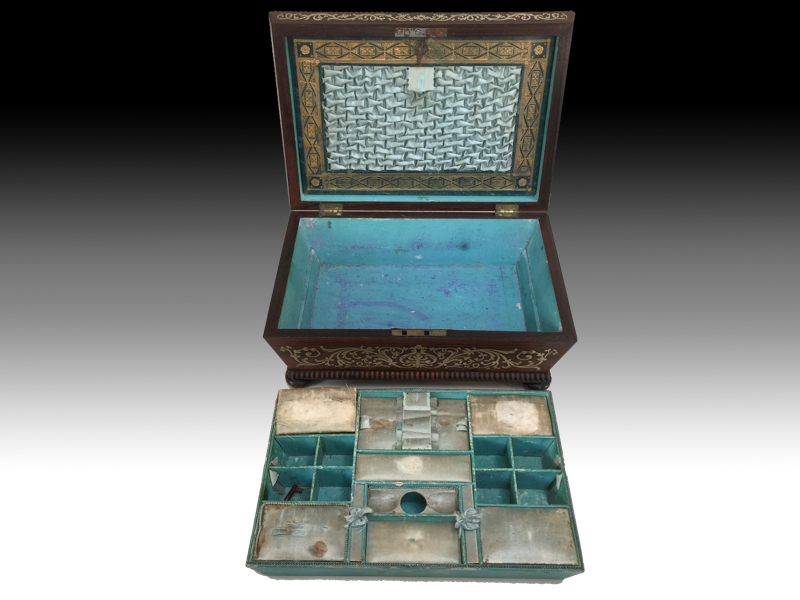 A George IV rosewood and cut brass inlaid sewing box. 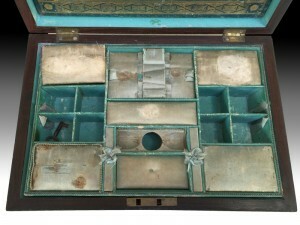 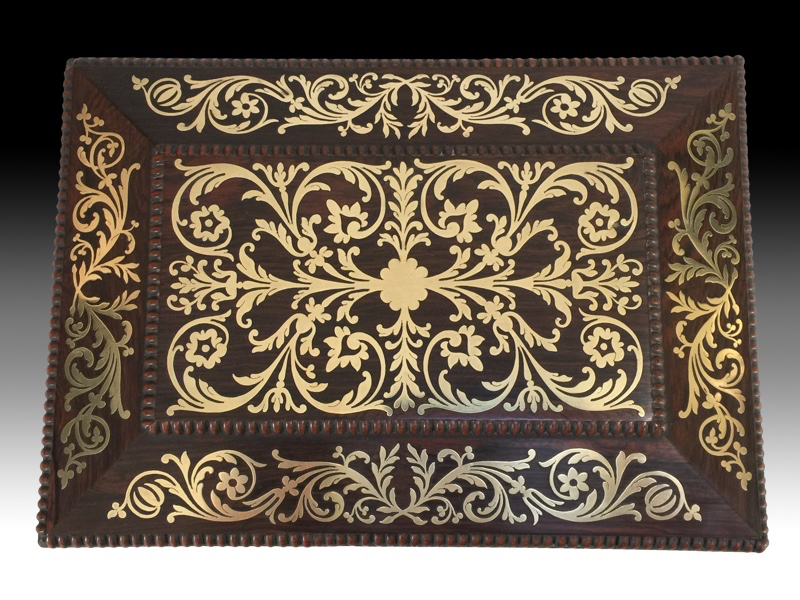 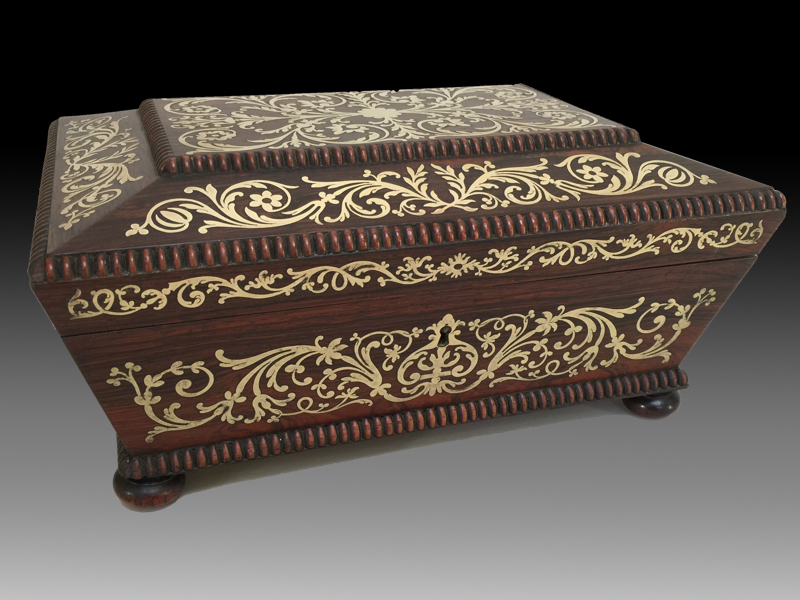 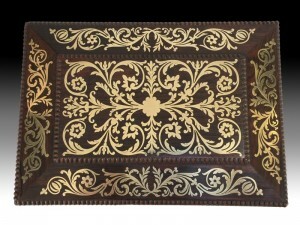 Of rectangular sarcophagus form, the stepped lid with split bead mouldings and fine scrolling brass inlay, opening up to reveal the original interior with lift out tray. 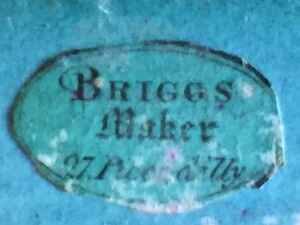 Paper makers label to the interior, ‘BRIGGS MAKER 27 Piccadilly’. Thomas Briggs, cabinetmaker, writing desk & dressing case maker (1819-1835), is recorded as working from 27 Piccadilly from 1829-1835.